The Ministry of Foreign Affairs together with the ICRC delegation in Sri Lanka held a meeting today, 12 February, with the participation of representatives of relevant line Ministries and Agencies to discuss the ICRC report titled: ‘Needs of the Families of Missing Persons in Sri Lanka: Living with Uncertainty’. 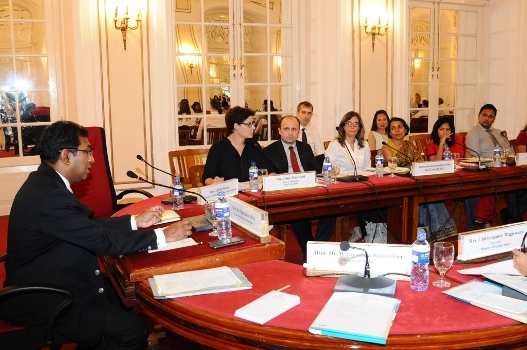 The meeting was chaired by Deputy Minister of Foreign Affairs Harsha de Silva, and held at the Ministry premises. 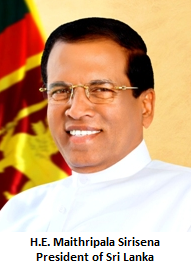 The Deputy Foreign Minister reiterated that the Government of President Sirisena and Prime Minister Wickremesinghe recognise the importance of dealing with the issues related to the families of missing persons and that it was with this recognition that the Government on 14 September 2015, announced in the UN Human Rights Council in Geneva, its commitment to establish, by Statute, an Office on Missing Persons based on the principle of the families’ right to know. He outlined steps taken by the Government to deal with issues relating to the Missing so far, including the approval by the Cabinet of Ministers for the issuance of Certificates of Absence for which the necessary legislation is now under consideration; facilitating the visit of the Working Group on Enforced & Involuntary Disappearances (WGEID) after almost 16 years; and signing of the International Convention for the Protection of All Persons from Enforced Disappearances. The Deputy Minister appreciated the work carried out by the ICRC, in Sri Lanka, for over 25 years, winning the confidence of all sections of the population throughout the country. Claire Meytraud, Head of the ICRC Delegation in Sri Lanka stated that the ICRC believes that the ‘Family Needs Assessment’ carried out by the ICRC and the report compiled by them would be useful to the Government in its efforts to deal with the issues facing the families of missing persons. She added that the ICRC stands ready to provide all assistance to the Government on this matter and to have further consultations on the report. The ICRC report includes a detailed description of the needs of families, the existing resources available to them and their current coping mechanism. All the participants at the meeting agreed on the need to take steps to address issues relating to the families of the missing with a view to addressing their grievances and needs in a meaningful manner. Officials from the Presidential Secretariat, the Prime Minister’s Office, the Ministry of National Integration & Reconciliation, the Ministry of National Co-existence & Official Languages, the Ministry of Health, Nutrition & Indigenous Medicine, the Ministry of Justice, the Ministry of Social Empowerment & Welfare, the Ministry of Prison Reforms, Rehabilitation, Resettlement & Hindu Religious Affairs, the Ministry of Home Affairs, the Ministry of Defence, the Ministry of Foreign Affairs, the Office of National Unity & Reconciliation, National IHL Committee, and the Human Rights Commission of Sri Lanka also participated at the meeting.